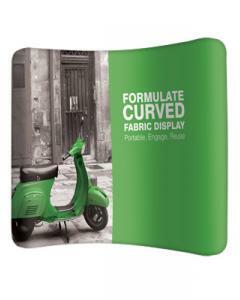 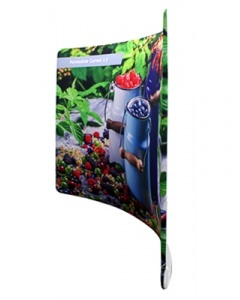 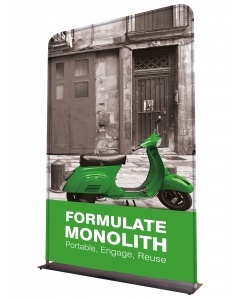 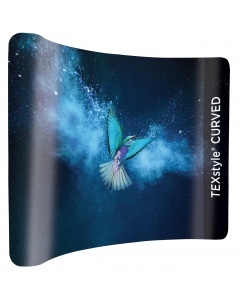 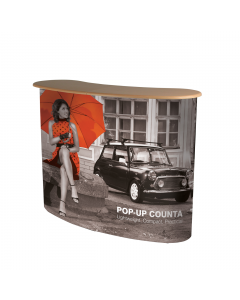 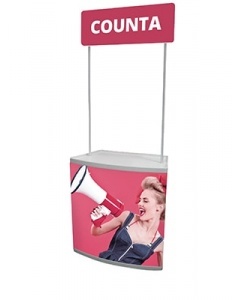 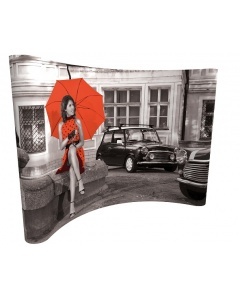 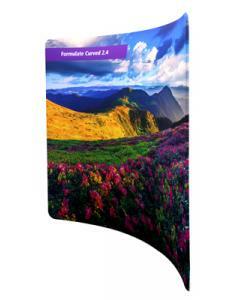 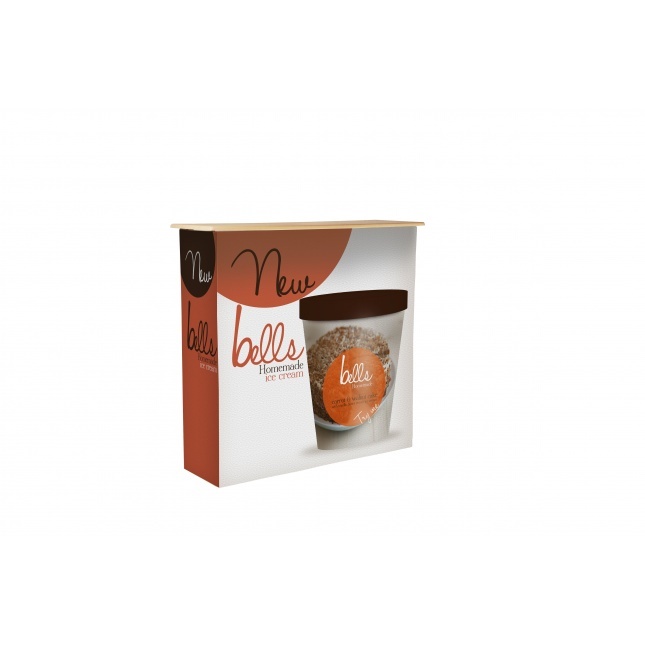 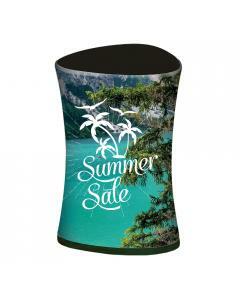 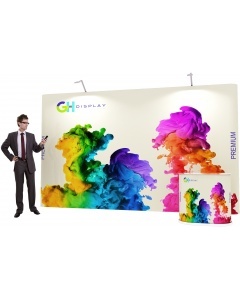 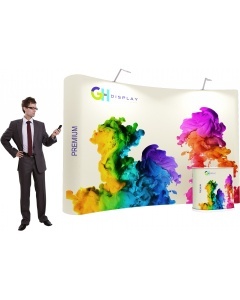 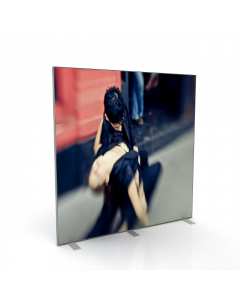 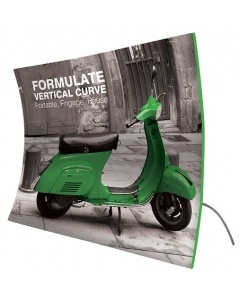 This lighweight Hop Up Counter Fabric Display is a great addition to your exhibition stand. 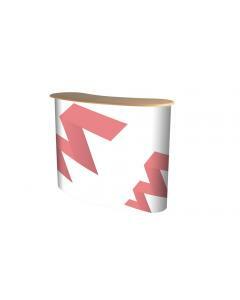 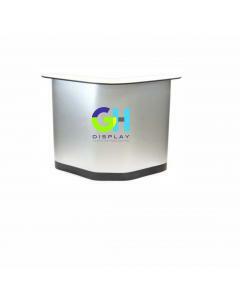 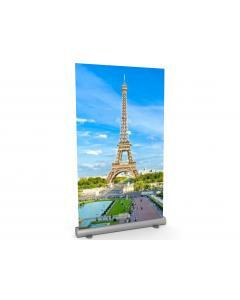 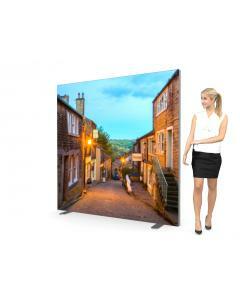 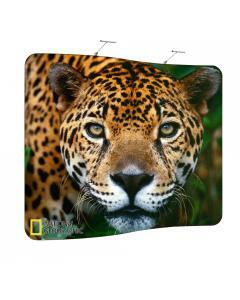 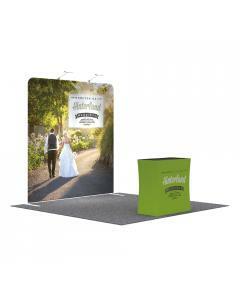 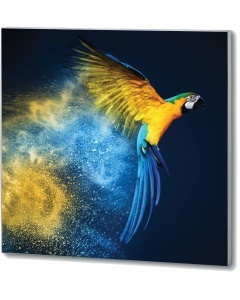 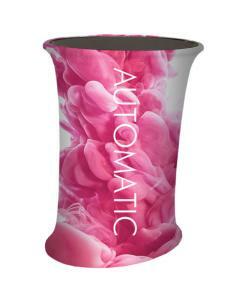 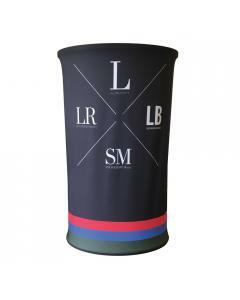 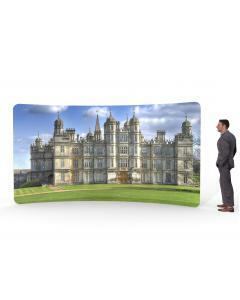 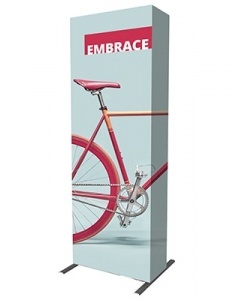 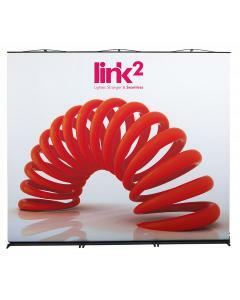 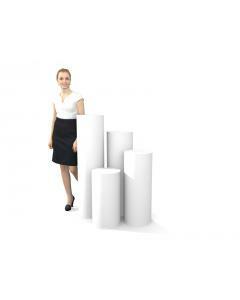 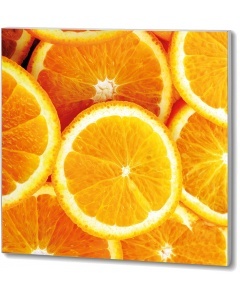 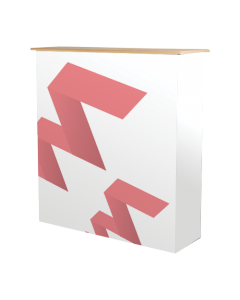 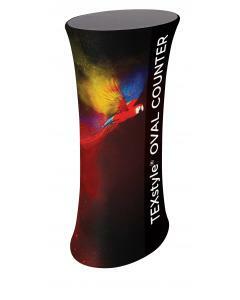 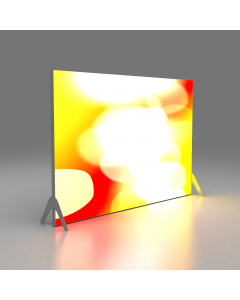 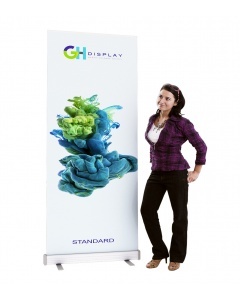 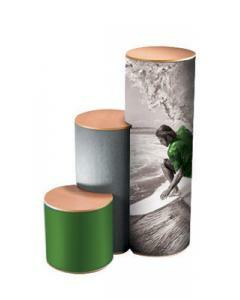 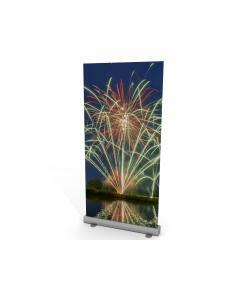 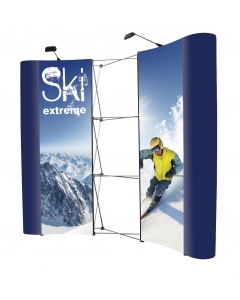 We recommended it as the perfect reception or display counter to compliment one of our fabric graphic exhibition stands. 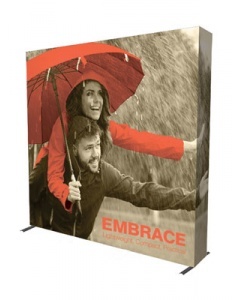 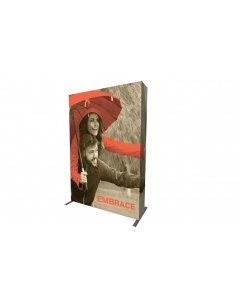 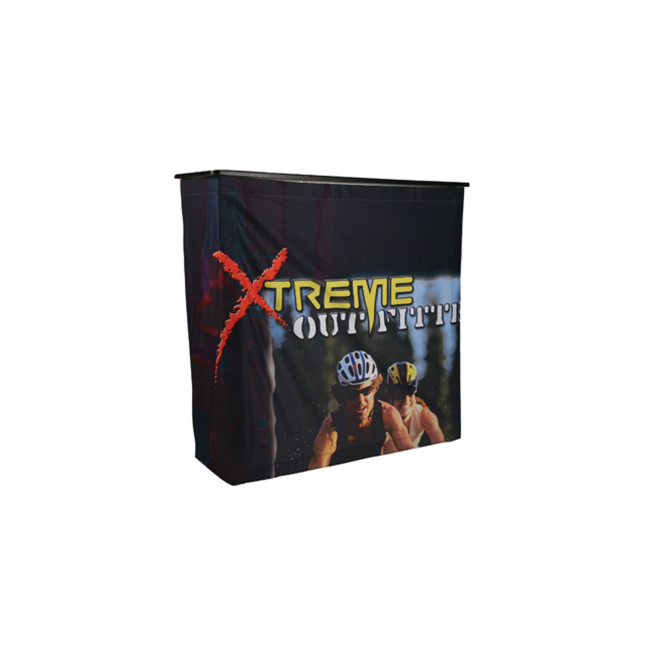 It is quick and easy to assemble with single wrap around fabric graphic. 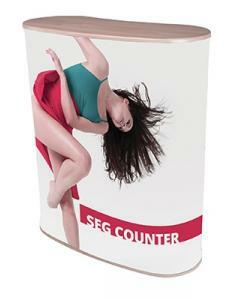 This simple counter requires no tools or specialist knowledge. 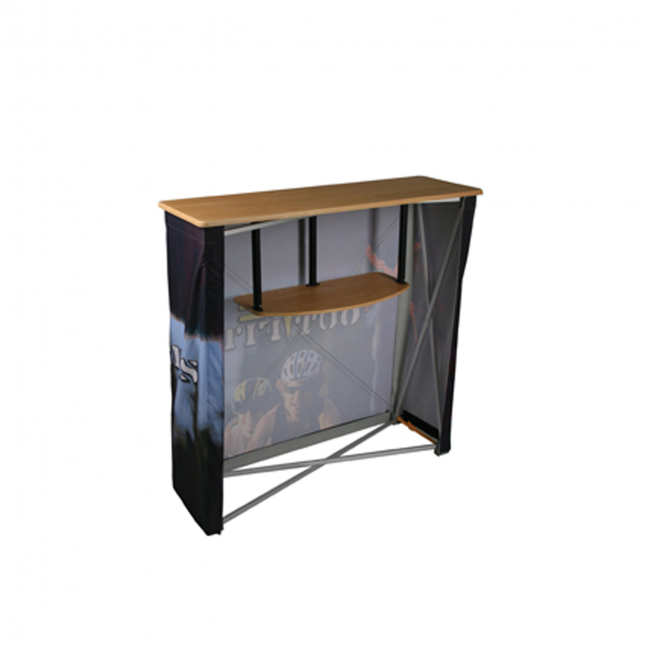 The frame simply opens out and pops into place with the fabric graphic already attached The counter top can then be slotted into the frame and the internal shelf attached. 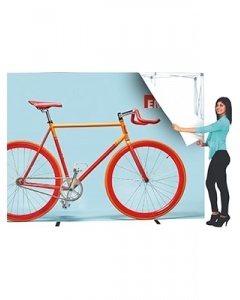 The fabric graphic stays attached to the frame when packed away as this allows for quick and easy assembly. 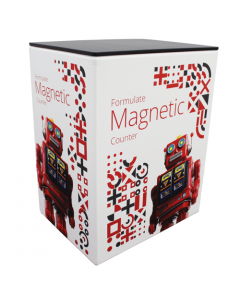 The counter top has a load bearing weight of 15kg when evenly distributed. 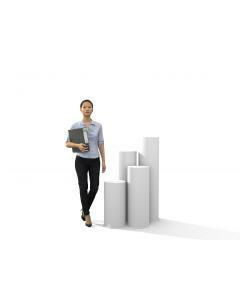 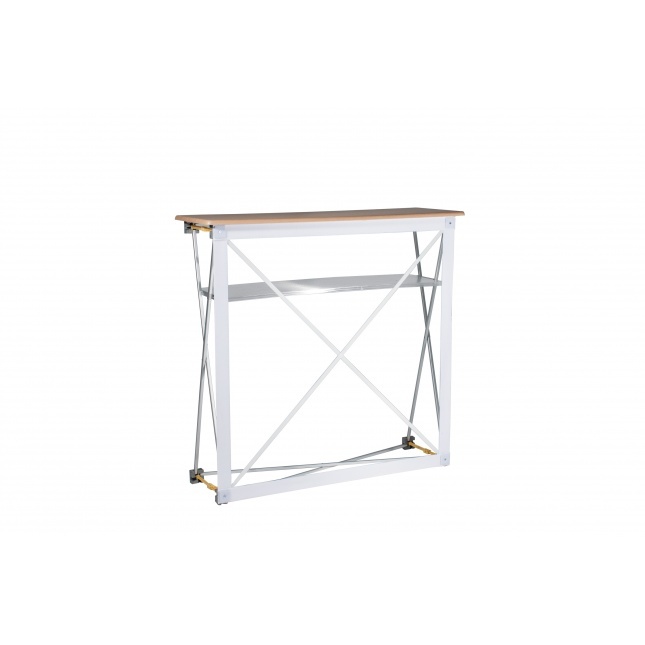 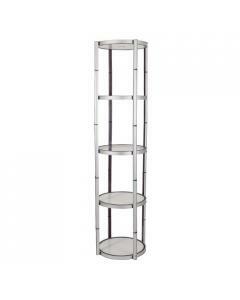 The shelf has a load bearing weight of 3kg and is ideal storage space. 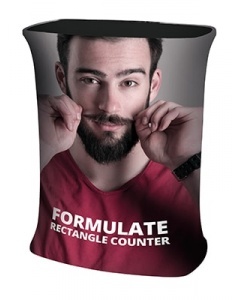 A carry bag is included. 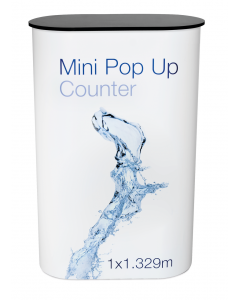 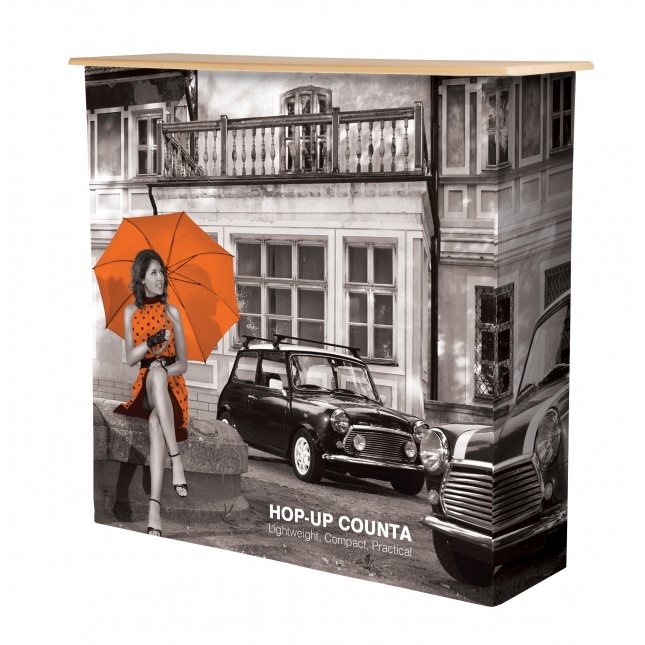 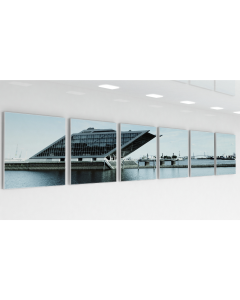 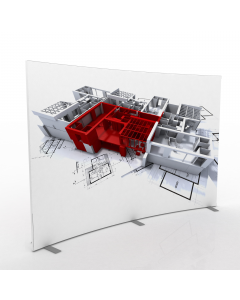 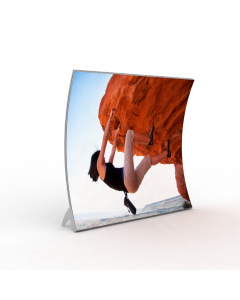 Why choose the Hop Up Counter Fabric Display?